If you’re here right now, you definitely don’t mess around when it comes to professional audio gear. 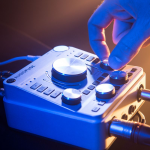 In terms of audio interfaces, it’s one of the biggest ranges it terms of features, quality and prices we’ve seen in the market. Unlike others pieces of gear out there, the gap is pretty huge, so when it comes to a pro interface, we hope you know what you’re doing. 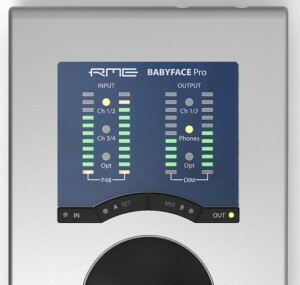 Today we are taking a look at RME Audio‘s brand new audio interface, the Babyface Pro. With 192 kHz quality, 24-channel, USB 2.0 bus-powered and some newly designed ins and outs, this thing is pretty fancy and really uplifts your setup. Let’s take a look at it in details. RME is tailoring their catch phrase for this as “re-engineered, not remastered” as in, they haven’t necessarily “upgraded” their original Babyface but have created a “new one”. Most notably in our opinion and first and foremost, the difference from their original (and highly praised) interfaces provides no break out cable use for some nifty convenience. We also get some easy control directly on the face-plate as noted in the photos. They’ve also added quite a few ins and outs to this thing to add to some customization — You get two XLR connectors integrated into the housing as well as two headphone outs, a mic, line and instrument in. There’s MIDI, ADAT and USB alongside it. 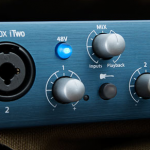 There are two digitally controlled phantom powered preamps per each XLR port, so it’s perfect if you’re using two mics for recording a drum set, piano, etc. So why two headphone outputs? Well, some of us have different types of studio headphones for different reasons. You have a 6.3mm and 3.5mm for interchanging them (the two ins have separate driver stages to match up with either low or high impedance phones, which is super beneficial if you’re an audiophile and will be using the interface for different instances. ), but also to hook up two at a time in case you’re sharing with a friend or recording with somebody. The 3.5mm driver is specialized for lower impedance, while the 6.5mm is for higher impedance. Not necessarily a must, but more of a why not? 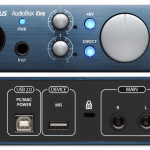 There’s also the ADAT I/O that a lot of interfaces out there (typically cheaper) don’t have. Additionally, we are really fond of the 4 LED meters up top to check our levels on the fly. Just below those, we have some other buttons to control the unit (switch ins and outs, adjust gain) and a large encoder wheel just below that. In terms of control (not that you have to operate from the unit itself), we love the convenience it gives us. The 192 kHz sample rate should be enough of an indicator for you to know this thing is going to be crystal clear. Compared to let’s say some of the more popular interfaces in the market (albeit a lot cheaper with less functionality), it is definitely a step above (more than 2x the Scarlet 2i2 which only offers 96 kHz, but that’s literally $100 retail). This however always brings up the debate: is the sound too digital? Well, in our opinion and if you’re going to be nit-picky, it is quite digital! However, that’s something we expected and you should too if you’re looking at an interface of this caliber. If you’re looking for more of an analog or “warm” sound, you’re going to need to process your tracks through something else — not a professional audio interface. The clearer the better in our opinion, especially when it comes to something as important as vocals or a guitar sound. You can always put some FX or process those tracks after you record it to get rid of some of that “digital” feel you get with these types of interfaces, so keep that freedom in mind. This is merely a middle-man. Aside from the sound quality itself, you’re getting some super low latency here. In terms of conversion, you have the latest generation of AD/DA converters that are combined with their SteadyClock technology. To sum up what this tech actually is, it’s RME’s trademarked technology that is great for clock output and helps with jitter. 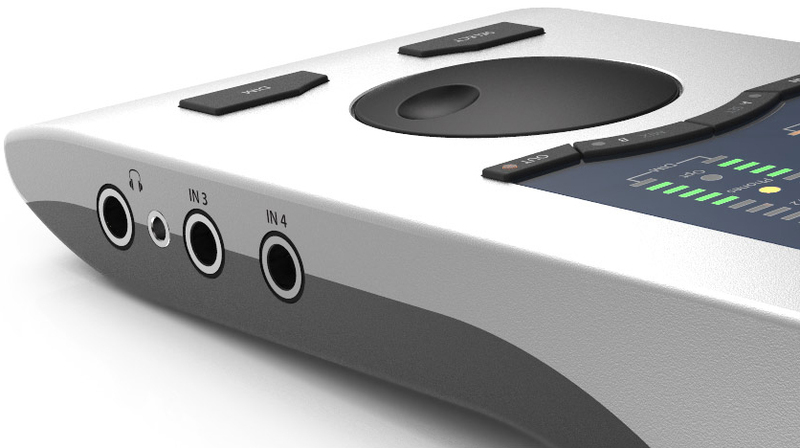 This audio interface is super light and sleek in terms of dimensions. It’s going to fit in perfectly with your existing setup, and if you’re traveling with it, will fit in pretty much any bag (just make sure you protect this thing considering how much cash you’re investing into it). The aluminum build is quite sturdy in our opinion, rivaling a lot of other interfaces in terms of their plastic or die cast make. Another “why not” feature is the bottom, which has a screw-hole for you to mount it on a microphone stand if that’s what you fancy. It wouldn’t hurt if you could mount it on a stand to make sure it’s safe in the studio or on stage. 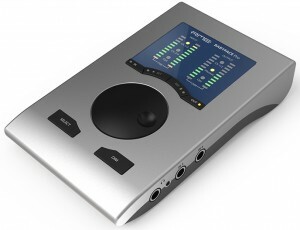 As stated previously, this is an upgrade to their original audio interface that came out in ’11, the RME Babyface. 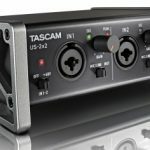 The prices of that will most likely start to drop as this model becomes more widespread, so if you’re interested in saving a few bucks but grabbing something that’s relatively similar (lacks a few of the features the Pro has, such as 2 less ins, the cool XLR ports or additional headphone in), take a look at that instead. This Pro version is also aluminum as opposed to their original die-cast housing. Their original Babyface is also offered in blue color, so if aesthetics are important for you, that could be a deciding factor. 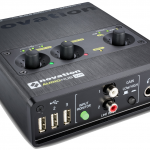 In terms of competitors with these models, RME rivals Universal Audio when it comes to professional-quality interfaces. You can also read our top 10 best audio interfaces article for some more options, but they’re more tailored to lower price points (a few pro models in there, however). 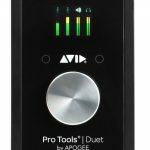 All in all, the RME Babyface Pro audio interface is a professional piece of gear that is tailored for those of us who know what we’re doing. With the numerous ins and outs, 192 kHz audio quality and overall solid build, it’s worth the money if you have it.